Lahaul gives a complete overview of Buddhist culture and art and is associated to virgin beautiful spots, clear rivers and grand glaciers. 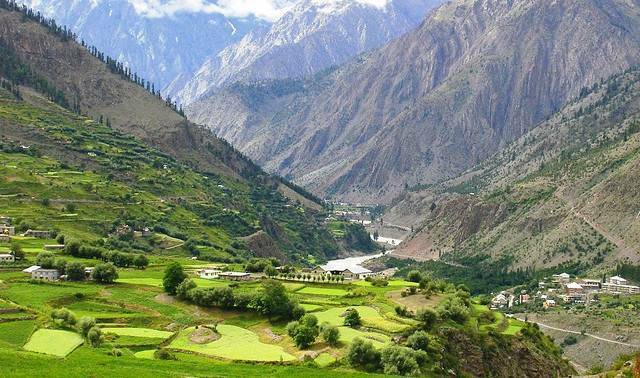 Lahaul valley is nourished by the Chandra and Bhaga Rivers originating from either side of Baralacha pass. Lahaul is a perfect picture spot with Pir Panjals on one side and Great Himalayas on other. Be part of the grandeur of White sheet of glaciers like the Bada Shigri, Chota Shigri and Sonapani glaciers. Lahaul valley is famous for its Losar festival that has the same significance as Diwali for the North Indians.